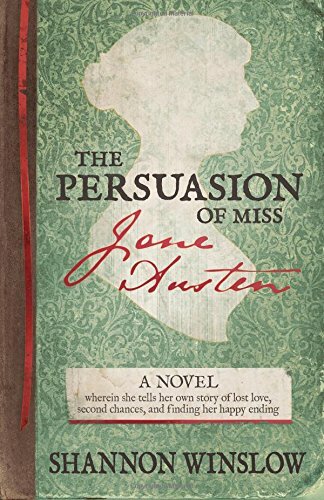 I spent more than a year delving into Jane Austen’s own life and her novel Persuasion for my previous release: The Persuasion of Miss Jane Austen. But then I returned to my first love – Pride and Prejudice – for my next. The new book is called Miss Georgiana Darcy of Pemberley. 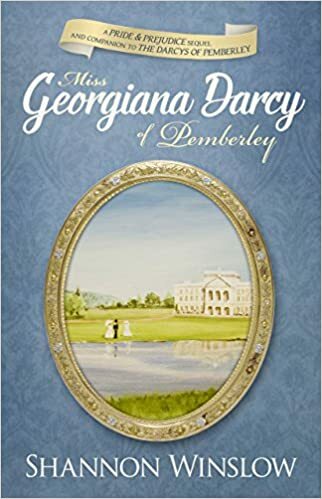 The similarity to one of my previous titles is entirely deliberate because it’s a “variation” of The Darcys of Pemberley, this time told from Georgiana’s perspective. I’ve always felt that I might have shortchanged Georgiana and her courtship story a little the first time around, focusing more on Darcy and Elizabeth’s relationship in their early married life. This one is just the reverse – still plenty of Darcy and Elizabeth, and even a few new “missing scenes” from Pride and Prejudice, but all from Georgiana’s point of view this time. The two novels are complimentary – one book filling in the “off-camera” scenes of the other and the thoughts hidden from view. I trust that together they supply a richer reading experience than either one alone. 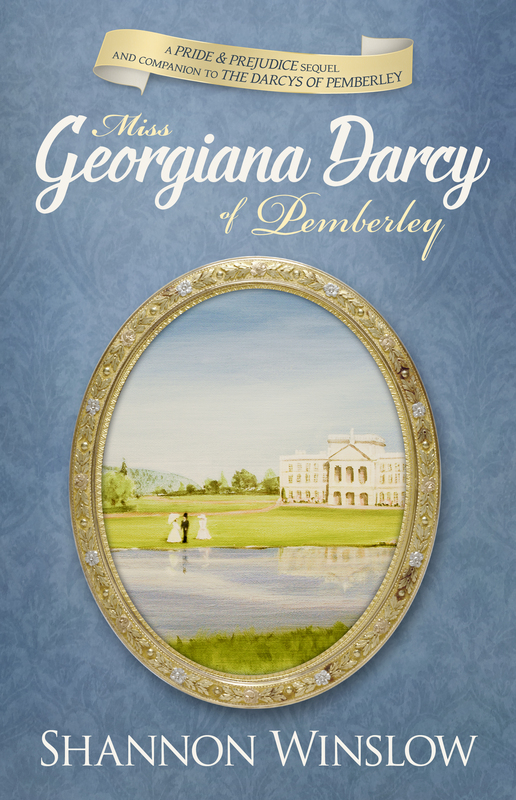 Miss Georgiana Darcy of Pemberley is available in paperback and ebook, online at Amazon and Barnes & Noble. Now in audio too! I have fallen victim to love twice in my life, and the outcome has been only heartache. Neither man involved, for vastly dissimilar reasons, has proved a wise choice. Not that one has much conscious power of decision in these matters; the heart, perversely, attaches where it will. Yet I am determined to be more circumspect in future. Everyday I feel the embarrassment of my first attachment and the cruel disappointment of my second. I doubt I could bear a third failure. But, lest I fall into overly gloomy reflections at the very outset of my story, I shall begin with a different man entirely. The others will come along in due course. 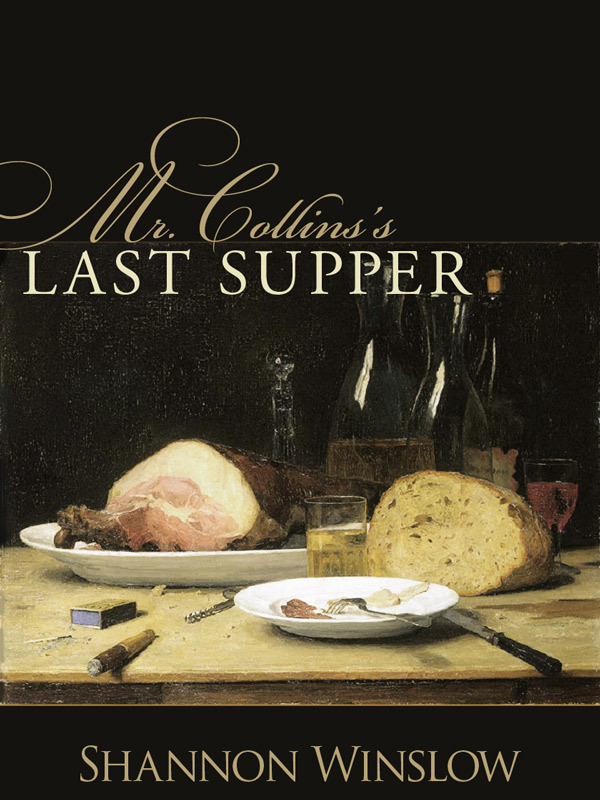 It was last autumn when word arrived at Pemberley that Mr. Collins had died. And while I was sorry for it, especially for the pain it unquestionably occasioned his family, I could not feel it deeply myself. I had only met the man once, after all – that being a year earlier and very briefly, at the wedding breakfast for my brother and his new wife Elizabeth. Even she, to whom Mr. Collins was some relation, seemed not too deeply wounded when the news came by post from her family at Longbourn. “Mr. Collins is dead!” Elizabeth had read out in surprise almost immediately upon opening the letter. Upon hearing these revelations, I could not help but shudder and do just that. “What else does your mother have to say?” asked my brother more calmly. “Now, really, Lizzy,” my brother scolded mildly, but I thought I saw him stifle a laugh at the same time. “Of course. We shall deliver our sincere condolences to Hunsford in person and make certain Mrs. Collins knows she can call on us for anything she may need. We should begin preparations for our departure without delay. There is much to be done.” He stood and extended his hand. As Elizabeth took it and rose to his side, her eyes shone with love and gratitude. So the plan was made. Mr. and Mrs. Fitzwilliam Darcy were to travel south for Mr. Collins’s services without me. Inwardly, I repined. 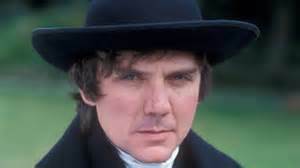 Outwardly, I submitted to my brother’s decision without protest, even though I knew that when he and Elizabeth quit Pemberley the next morning, a precious portion of the life of the place would escape out the doors with them, as if the house itself had emitted a deep sigh from which it would not soon recover. The time would pass more slowly for me until they returned, and with less variety. I would miss my brother, yes, but Elizabeth probably more. And Mrs. Reynolds, dear though she was to me, could never be expected to supply what I would thereby lose in the way of close companionship and conversation – generous luxuries I had grown accustomed to over the previous year. 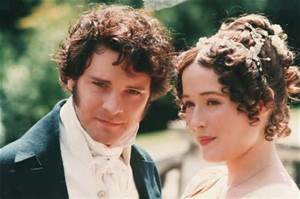 Marrying Elizabeth Bennet was the best thing my brother had ever done, for himself and for his sister. In Elizabeth, we acquired a treasure, one for which I expect our family will be forever the richer. Fitzwilliam (or William, as I more commonly call him) is happy, as is Elizabeth. No one who sees them together can doubt it or that they are still, all these months later, deeply in love. It is an union that has operated to the advantage of both. Most would undoubtedly presume the former Miss Bennet, of little fortune or status, to have been the winner in the case. While it is true that her new husband’s experience, resources, and place in the world brought her benefits incalculable, he has profited by the match as well, only in less tangible ways. Elizabeth’s ease and liveliness have softened his rough edges and improved his disposition. In general, he is less dogmatic in his opinions now, less rigid in manner, and consequently far less likely to cause offence where he means not to give it. As for myself, I acquired a longed-for sister when they married – one young enough to enter into my concerns and yet old enough to help and advise. Accordingly, I found in Elizabeth something of a mother as well, to fit alongside the paternal position my brother had been forced to adopt by the loss of our true father a few years before. Together the two of them soon formed the better, brighter part of my limited world. Together they also lived out before me the example of what wedded life should look like. I often wonder if my parents enjoyed, albeit much too briefly, the same kind of connubial felicity. Although I was far too young when my mother died to have made such observations myself, I have sometimes been able to persuade Mrs. Reynolds, who has served this family for some thirty years, to share her stories with me. She speaks of her former master and mistress in tender terms that seem to imply it was a good marriage. I like to think so. Although I am eager to carry on that heritage, to follow in the cherished parental footsteps, I fear it may never be, that perhaps I am not destined for that sort of contentment. Early indications certainly are not promising. They tend to support the idea that loving without return may be my lot in life instead – a distressing prospect. It is bad enough to discover one has bestowed one’s affections where they were undeserved. But to bestow them on a person eminently worthy and yet unable to reciprocate is more painful still, I find. How shall I endure it? I feel myself quite unequal to the task. Yet, apparently, endure it I must. And therefore I will. I am a Darcy, as my brother is fond of reminding me, by which he means not only that I have an obligation to comport myself with decorum and modest restraint, even in the face of the most difficult circumstances, but also that I inherently possess the fortitude to do so. I may doubt the latter part, since I have on at least one past occasion failed to uphold this high expectation. But I cannot argue with him, for I know he has felt the same kind of pain I experience, coming through it with dignity. And to a brilliant result besides. Who would have guessed from the miserable way he and Elizabeth began that a bright future lay before them? God grant me the same strength and courage to persevere… and, if it pleases Him, to find a similar reward in the end. Pingback: The Enigmatic Miss Darcy | Shannon Winslow's "Jane Austen Says…"
Thank you so much, Susanne, for taking time to leave such encouraging comments. Keeps me going! The idea of pairing this book with The Darcys of Pemberley is that it shouldn’t matter which one you read first, or I suppose they could be read side-by-side (some redundancy, but I’ve tried to keep it to a minimum). I’m syncing the time lines by chapter number, so the action in both books will be concurrent. Somehow I missed reading this before (and i do admit to having unopened e-mails due to busyness). Now having read it do find it to be very enjoyable. I look forward to the publication. Glad to hear it, Sheila! It will probably be late summer or early fall. Like Sheila, I’ve missed this one too. I’m very behind reading my blog post emails and blog posts in general. Life, The Universe and Everything! 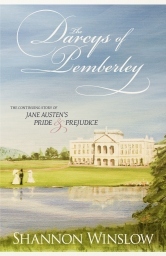 I really enjoyed The Darcys of Pemberley and this alterntive PoV looks to be equally enjoyable. Off to read the excerpts from Chapter 2 now. Glad the universe is giving you a chance to catch up, Anji! First let me say that I quite like the story being told through Georgiana’s eyes. Secondly, chapter one telss us that this story belongs to our georgie. Not enough books are out there where we see a mature young woman. Can’t. Wait for the book to come out. Pingback: Georgiana Darcy’s Full Cover Revealed! 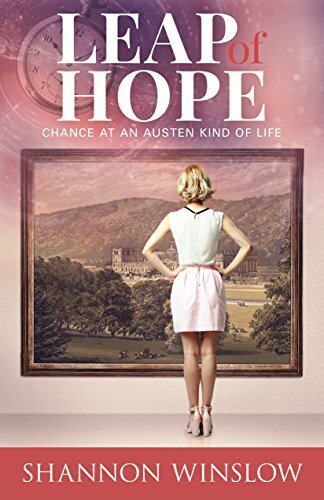 | Shannon Winslow's "Jane Austen Says…"
Dear Shannon, I just read the first chapter of Georgiana’s story and it’s already obvious that it will be a page-turner, as were The Darcys of Pemberley and Return to Longbourn. I intend to purchase a copy as soon as it becomes available. BTW, I’m a few pages in another of your wonderful books, “For Myself Alone” and marvel (again) at your ability to maintain the Jane Austen tone in your writing. Keep them coming, Shannon! Thank you for taking the time to leave a comment, Sonia. It’s so encouraging to hear that what I do makes a positive difference in people’s lives. And I intend to keep writing as long as people want to keep reading! Will be watching for your new book! I have loved the other books that you have written! 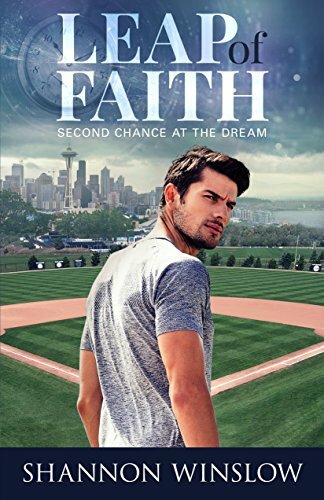 The first Chapter that I have read is making me itch already to get my hands on it. Thank you for writing such good material. Pingback: Launching without getting Wet | Shannon Winslow's "Jane Austen Says…"
I finished this book a couple of days ago and really enjoyed it. In fact, I have enjoyed all of your Pride and Prejudice continuations.